An elementary school building from 1908 was converted to apartments for seniors. A 1940’s department store in Center City became a two-story nightclub plus contemporary retail stores. Into a retail center parking lot grew an urban elementary school. A vacant supermarket became a busy medical arts building with a surgical center and comprehensive oncology treatment. A 1960’s furniture store became a motorcycle dealership. A notorious neighborhood nightclub became offices of a community development organization. Engaging all members of the team and realizing the needs of each to achieve his/her own success. A devotion to accommodating everyone involved: the owners, design colleagues, government agents, contractors, and especially the occupants. It is what we mean by quality design and responsive service. As a principal of JKRP, where he has collaborated since 1987, Glenn’s experience has grown steadily, as he supports the staff in their professional growth. The greater part of his work is focused on healthcare and creating healing environments. Being environmentally conscious, he has held LEED accreditation since 2005. 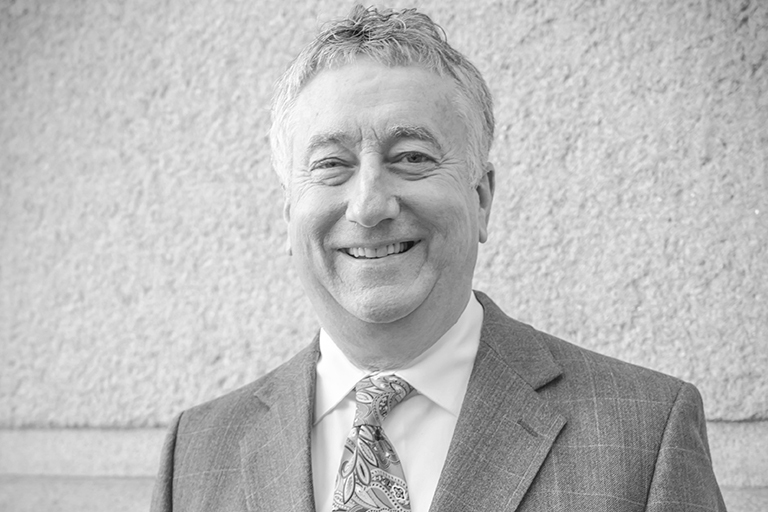 Outside of the firm, Glenn has formerly served as the Chairperson of the Springfield (Delco) Planning Commission and as Council President of St. Paul’s Church in Lionville. In Chester County, he and his family have volunteered with organizations serving the homeless. His favorite diversions are impromptu road trips, a breadth of musical genres and golf. My humble demands: plain nonfat Greek yogurt with honey and fresh berries, cappuccino in a ceramic cup (Ultimo's is very good), and an anise biscotti. Thanks! Who is the one person in history that you would want to sit with on a plane to California? Gwen Werner – we are all set to go! I could mention a few art museums, although I'm more enamored with great locales, like the French Quarter or South Beach. In some way, architecture connects all other fields and endeavors. What’s your dream vacation place you have never been? When I was a kid, it was 007’s Aston Martin. Now I’m more in favor of a recent Batmobile.